Brigadier General Mohammad Pakpour, the IRGC Ground Force’s chief, has traveled to Lorestan to closely monitor the efforts, according to Sepahnews, the force’s official news outlet. Meanwhile, Health Minister Saeed Namaki announced on Tuesday that the death toll from the nationwide floods and extreme weather conditions had risen to 46. 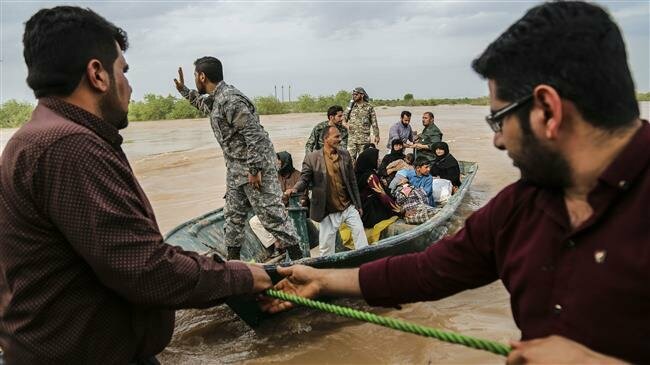 Out of that figure, 21 lost their lives in the flash floods that swept away hundreds of cars and damages a large number of buildings in the tourist city of Shiraz, in the southern province of Fars last week. Gaza Now: 2 children martyred in Dayrul Baleh bombardment of Blood Sucker israel!